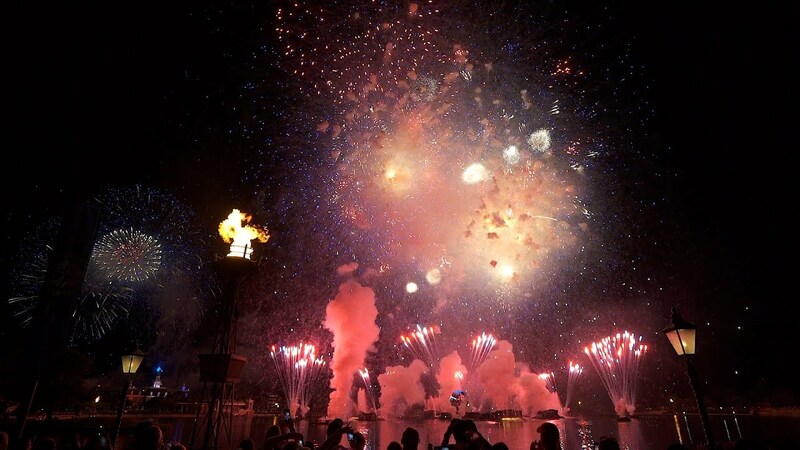 Jan 06, 2000 in "IllumiNations: Reflections of Earth"
We all know RoE is an amazing show. Well, New Years Eve 1999/2000 took the show to new heights. Starting 11:45, the regular show began, finishing just before midnight. At this point a narration was played, talking about how we have all gathered here at Epcot to celebrate the New Year etc... this lead into a countdown to the New Year, played on both the center Earth, and projected onto Spaceship Earth via laser. 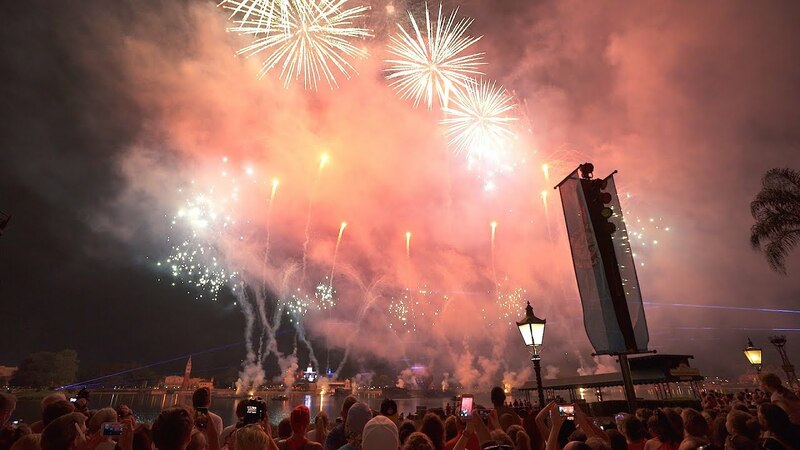 At the stroke of midnight the pyro kicks in from everywhere around the World Showcase. Extreme amounts were launching from behind the countries (the same launch areas as July 4, but more intense). This lead into the Celebrate the Future Hand in Hand finale (track 18 on the WDW CD). 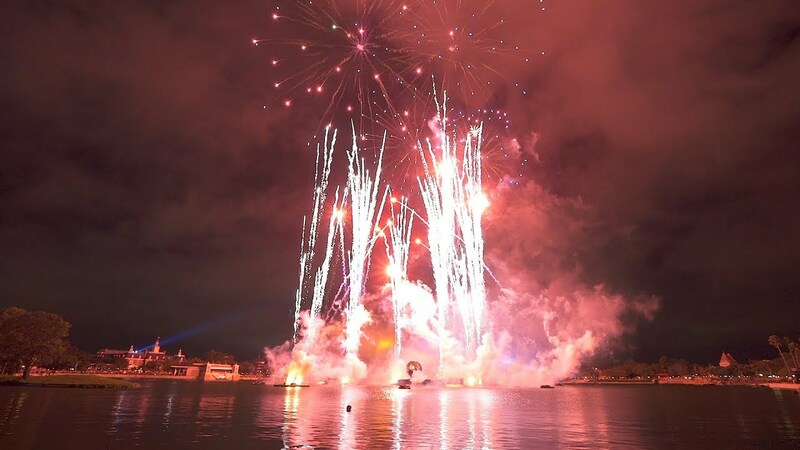 The Earth Barge remained open during this part, playing images - along with huge sustained barrages of pyro, and then the finale barge kicks in, not only in the lagoon, but at each point around the rear of countries. The whole finale was over in about 5 minutes. The Epcot crew went for intensity rather than length. The whole show was being broadcast around the world by many TV crews - including ABC (surprise!). A down side of this was that they occupied the prime viewing location in front of the World Showcase Plaza area. Crowd control was excellent, and Epcot did a great job of soaking up a capacity crowd!